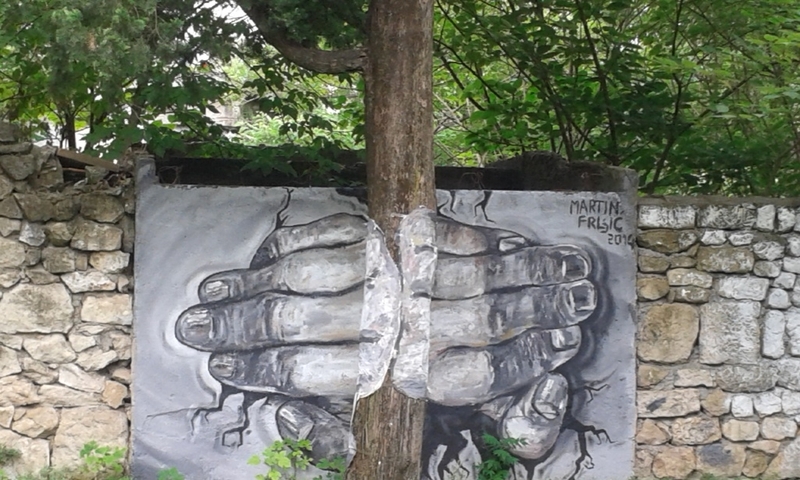 This graffiti is placed in Mostar, Bosnia & Hercegovina. Its interesting that the tree is 50 m in front of graffiti and you can see the entire composition only if you stand in the right place in the park. Marija Ilic 10 ^_^ Srecno!